What image opened your eyes to Human Rights. Effective storytelling is a really important part of conveying a message. For advice about this, I headed over to the WeAreMedia project and reviewed the storytelling module. There's a wonderful video there from Ira Glass. Warning: This video creates some graphic and powerful images that may not be suitable for younger children. I've had a powerful interest in Tibet since I was around 10 years old. I didn't know much about it other then I had to go there. For my 40th birthday I organized a group of friends for a short visit. I don't have a video camera, so this is just created with iMovie on my MAC. Here's more about Tibet and social media. Can you create a video for your organization that tells a personal and intriguing story? Here’s how they’ve been doing this. Since there was a freeze on the current site spending at the time, they looked at what could be done elsewhere that would be dynamic and interesting. They looked at each community and tried to understand what that community was about and what would be the right thing to do for that community. 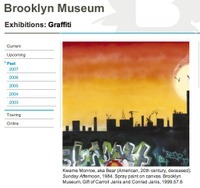 In summer of 2006 the Brooklyn Museum did a show on Graffiti. 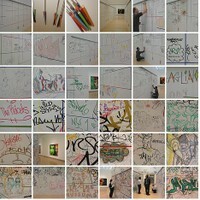 “We had a canvas show of graffiti canvasses from our collection.” Continues Bernstein, “When it was installed, a blank wall was put up in the middle of the gallery where people could tag the wall. The changing nature of it was the very nature of graffiti - it would get covered over and covered over because there was so much traffic. Weekly we took pictures of this ever-changing wall and posted it to Flickr. 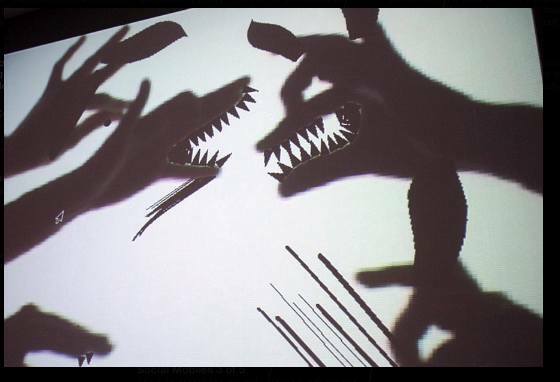 Another neat tool was an online drawing application to make virtual graffiti. That is such a great example of what web 2.0 really means: participatory culture! Later when they did a Ron Mueck exhibit this last fall, they took behind the scenes photos of Mueck loading in the art. It was hughly popular on Flickr. It goes back to the concept of posting content that people find interesting and engaging, rather then strict marketing. The idea of community has its roots in their gallery. For a long time they have had “Community Voice Labels.” They would get quotes from visitors from the community, and these would be put on the wall, next to the official label. It has a physical presence. Now they have an electronic comment book both in the gallery and online at the same time. 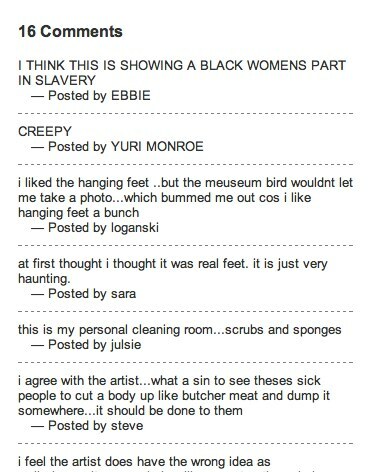 It’s a community effort within the museum to build and maintain their social and web activities. 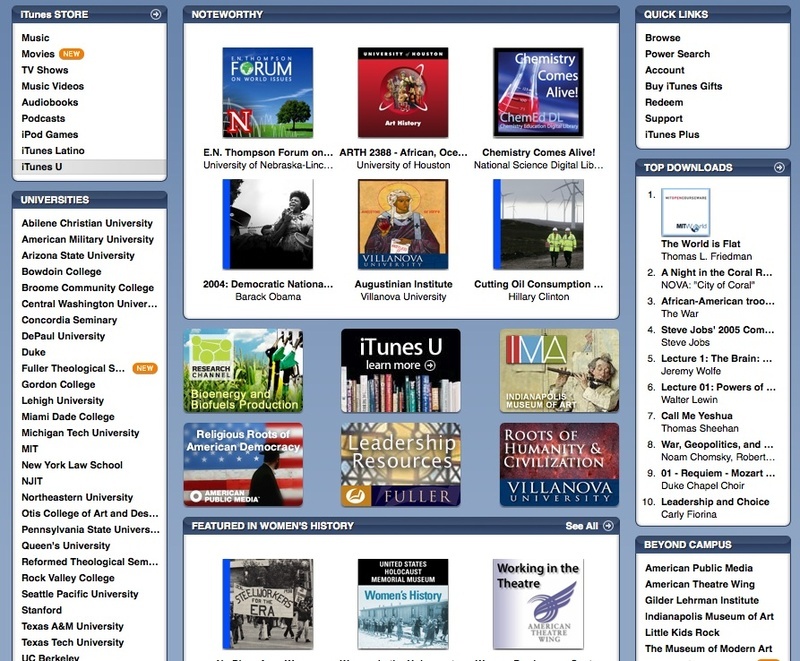 Much of the Flickr content is provided by the education department, interns, and other staff, though all is updated by the IT department. The blog is different because there are many authors and its a direct publish - it doesn’t go through the Editorial, or Public Information Departments, but trust that the authors will follow the policies that have been set up. For projects that are directly related to exhibitions, the curators, the interpretive materials manager, and education are all involved. 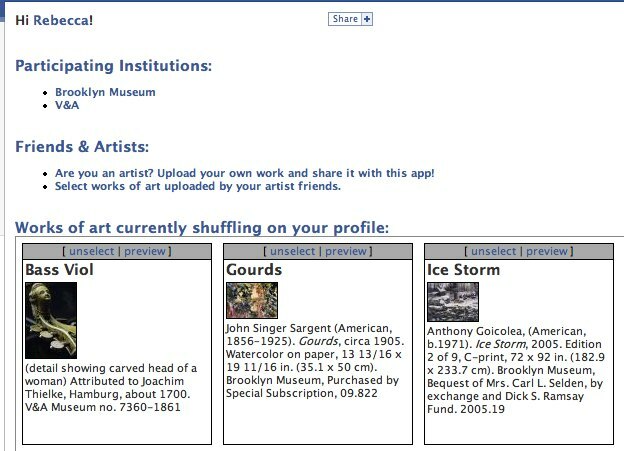 The Brooklyn Museum just developed a new application for FaceBook called ArtShare. This seemed like the right thing to do to engage with their community on this social site. ArtShare allows people to take the art they like and put it on their profile. The application is open and other Museums are using it to add art from their collections. In fact artists are encouraged to upload their own work too. Bernstein is doing a great job on the transparency side too. Here are some pointers on the lessons learned from their video competition. And let me know if you are doing something interesting and I'll write about it here!